The Strong Spirit Path: Food Mood Journal & The Strong Spirit Woman Projects In The WORKS! Food Mood Journal & The Strong Spirit Woman Projects In The WORKS! I have been working on developing my website, and getting a project back on the front burner that I actually began close to seven years ago now. As I do these things, my poor blog sits lonely!!! I also decided to launch a debut video, reigniting my YouTube channel ~ at least for a trial run ~ linked below. I have a follow-up video ready at the helm, and would love for any of you dear readers to watch it once published later this week, and provide your feedback ~ about the direction, and the questions I pose in that video. Be sure to subscribe to the channel so you see it as soon as it's published. 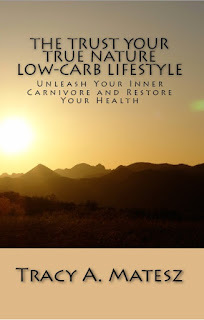 My website has several pages on physical health, what constitutes a healthy diet, some new low-carb recipes, along with information about organizing, fitness, and meditation, so if you are looking for more information or recipes, do check it out. I am continuing to encourage people to trust their own intuition, as I spelled out in The Trust Your True Nature Diet Low-Carb Lifestyle. 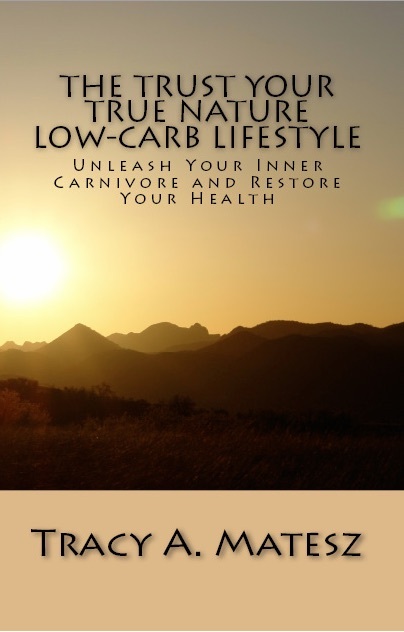 Read more about The Trust Your True Nature Low-Carb Lifestyle here. Beyond low-carb diet coaching, I am working on developing a Strong Spirit Woman (SSW) or Trust Your True Nature (TYTN) whole-life makeover type coaching process as well. Still working out details, and plan to put together a process that can be done on one's own, and/or with outside help and guidance. There are certain steps ~ or initiations ~ that can can be taken to become ever more aligned with your true, authentic core self, where the real magic happens. When your life if fully integrated, and you see manifesting in your external environments that which you have been envisioning, and you have done the inner work of letting go of the beliefs, people and lifestyle habits that no longer serve you, everything else begins to fall into place. You experience a state of grace, where you just know in your bones that everything is happening exactly as it needs to. It's a comforting feeling to say the least. better aligned for perfecting our squatting. Need firm, not flimsy heels. Feeling the pump, tho perhaps should use a tripod next time. Hard to aim and shoot and flex all at once! Don and I are passionate about helping others liberate themselves from the shackles of alien belief systems, to become true, sovereign beings. We have all been entranced over our lifetime by so-called experts purporting what is best for us, without proper scrutinization. Much of what we have been indoctrinated into believing as gospel about life and our world is simply a mis-creation/lie, or deception handed down from alien entities (metaphorically speaking) that DO NOT have our shared best interests at heart. We have all at one time or another given our power over to those 'experts' and have been taught to go against our true nature, and direct experiences. We have learned to doubt ourselves, and trust what we think ~ or worse, what we are told ~ over what we feel in our gut to be true. As for my own progress with the low- to very-low-carb-diet we began in May, I have been maintaining about 100 pounds, give or take 1-2 pounds on either end depending minor dietary fluctuations. My waist is maintaining at 25 inches, seemingly no matter what I eat at this point. I definitely love love this lifestyle. I feel FAR more connected and aligned. In fact, lately, I feel awash with a sense of grace as well, a knowing that things are happening as they need to. The meals are super simple and satisfying. Imagine for a moment needing to literally work to live, as in produce your own food, shelter, clothing, and warmth, rather than work for a living ~ giving your time and efforts in exchange for fiat currency, would you want to grown grain, or raise livestock? Growing grain is pretty labor intensive. It also takes several years for some fruit trees to bear fruit. I know without a doubt I'd be preferring animal-based nutrition over plants. Far better, more dense nutrition. I can't fathom wanting to grow grain, nor survive a cold winter on raw fruits. Raising animals as part of an integrated system is the way it has been for centuries, a way that works according to Nature's own design. At this point, I question my sanity years back for even believing a fruitarian diet, or grain-based diet to be an ideal, sustainable, long-term path. It may work for some, but I just don't think I was in my right mind when making those decisions. I am still in the process of healing various long-term issues, and paying attention to current triggers. It's all a continual dance, learning to eat as per your internal cues ~ adjusting more or less protein, fat, and carbohydrates each day accordingly. The greatest quantity of carbs I consumed recently has been around 60g, however, more often than not, it is still much less. My carbohydrate sources are primarily vegetables, berries, and some other fruits, plus some nuts which contain small amounts of carbohydrates. Aside from a bite or two of a random treat food, I have no desire for grains or grain products, breads, pasta, or even beans ~ AT ALL. Well, maybe I could be happy having a bite of a really moist, flour-less chocolate molten cake or some low-carb cheese cake here and there. Quite frankly, on many days, I don't even care if I eat any vegetables or plant foods. I no longer feel under the spell of needing to eat lots of vegetables, dark leafy greens, or fruits to be healthy. Eating plenty of protein with enough fat is more my focus, adding in vegetables or fruits as desired. I may even eliminate all plant foods for a week, other than naturally fermented vegetables, just to satisfy my curiosity. Stir fry w/ bok choy and onion. I do love bok choy. One of my favorite greens/veg. Eggs, awesome bacon, avoid, tomato...perfect. Slow roasted ribs w/ a homemade barbecue sauce. Don made it ~ sauce recipe in NeanderThin. Cabbage and onion pan-fried w/ a little xvoo, more than a little butter, curry, and ground fennel..
More great things to come, so subscribe, share, leave your feedback, and all that good stuff. I hope this post finds you ALL doing well, loving what you eat, and living your true nature.